Champion Gloves was established in 2003 in Dallas, Texas to aid in the development and marketing of custom sports gloves. Our manufacturing facilities are technologically advanced, and have been producing high quality sports gloves for decades. We are focused on researching and developing new designs and products, and continuously updating ourselves with the latest technologies. We market, design, and manufacture the highest quality sports gloves. 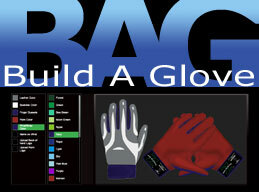 Which include custom palm logo football, fan, golf, and batting gloves. We often collaborate with our customers to design and develop new glove programs. All of our football gloves are marked with SFIA Standard logo. This confirms to officials that Champion Gloves meets the required standards. Copyright © 2014 Palm Logo Gloves,LLC All Rights Reserved.